At Charles & Alice, we believe fruit is perfect just the way it is—nature has already done the work for us. 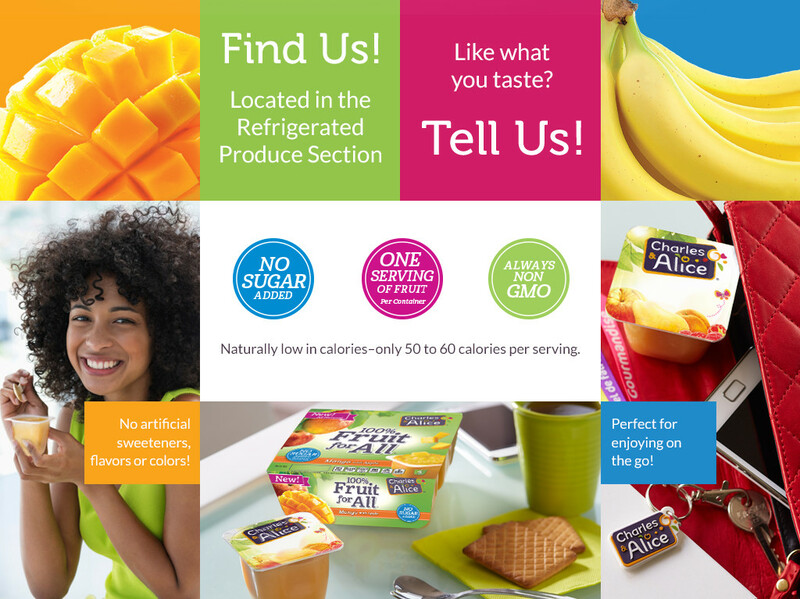 To capture that perfection we created 100% Fruit for All™, a great, new way to enjoy all natural fruit in a fresh, convenient and healthy snack. Our 100% fruit in cups contain no added sugar or GMO products, giving you and your family a perfect way to enjoy one serving of fruit. From our seeds to our orchards and fruit, from our packaging to your refrigerator, we are dedicated to crafting delicious wholesome goodness that respects the natural simplicity of our fruit and is good for you, for your family and for the earth.